To help you get started in your job search, a great time-saving technique is setting up job notifications. Many job seekers visit employment websites and always perform the same search for jobs. By setting up a job notification, any new jobs that fit the search criteria indicated will be emailed to the job seeker’s email address. You can opt to be notified daily, weekly, or monthly of new jobs that meet your search criteria. We recommend setting up multiple job notifications if your unique skills and qualifications can pertain to a variety of different jobs. You will receive regular emails with open positions from our site that match your job search criteria, saving you time and energy looking for them. 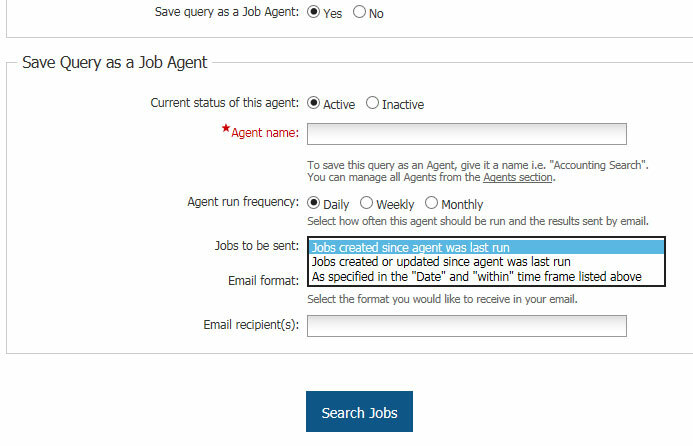 To receive job notifications, set up a Job Agent(s) in your account. If you have additional questions about searching for jobs, reference this tutorial.